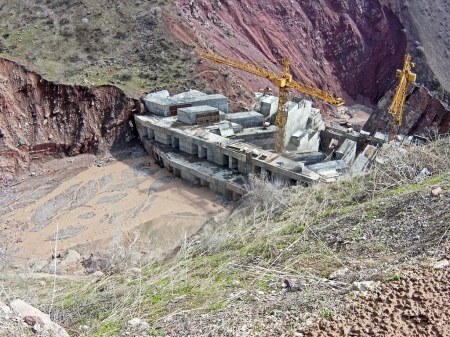 The conflict between Uzbekistan and Tajikistan, due to the Rogun Hydroelectric dam currently being constructed, is becoming more threatening and may soon reach a “breaking point”. The region may explode based on the verdict of the World Bank (WB), which for three years has reviewed the construction of the region’s largest hydroelectric facility. On August 15, the World Bank will officially announce the results of studies that, according to preliminary estimates, will be positive. In neighboring Uzbekistan, they consistently and categorically oppose the construction of the Rogun facility and expressed a lack of faith in the World Bank, accusing it of incompetence and calling for an independent review. Officially, Dushanbe has yet to respond to Tashkent. Experts do not exclude that tensions in the region are going to be aggravated externally. 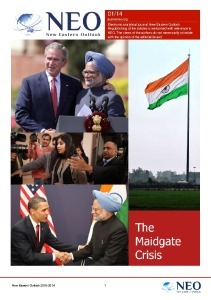 “The World Bank is one of the instruments of American foreign policy. And on August 15, if there is a positive declaration for Tajikistan as a result of the review of the Rogun project, you may then confidently infer Washington’s desire to further exacerbate the situation in Central Asia to its maximum”, says an expert on Central Asia and the Middle East affairs, Alexander Knyazev. The problem here centers on the fact that, Uzbekistan has been consistently and categorically opposed to the construction of hydroelectric facility. For two years ago, President Islam Karimov has warned that water problems can lead to armed conflict in the region. As it is well known, countries of the region have shared among themselves the resources of the two major rivers, the Amu Darya and Syr Darya; those resources conditionally subdivided with countries upstream, Tajikistan and Kyrgyzstan, and countries downstream such as Uzbekistan, Kazakhstan and Turkmenistan. The first group experience problems from year to year in the energy sector, deciding who is going to build large hydroelectric facilities. In Tajikistan there is the Rogun project, while in Kyrgyzstan there is the Kambarata project. Construction of the Rogun hydroelectric facility began in 1976 and has been twice delayed. Tajik intellectuals were opposed to the project during the period of glasnost and perestroika, as well as certain political parties of the time who perceived the project to be a symbol of the communist regime. The decision to proceed with the construction of Rogun was adopted at the XXIV Congress of the CPSU. However, once such person who was opposed to the construction of hydroelectric facilities was ​​famous poet, Gulrukhsor Safieva, more popularly known as the “Mother of the Nation”. Later in the 1990s there were several organizations who opposed it, in particular, the movement known as “Rostohez” (Revival), along with the Democratic Party of Tajikistan, which repeatedly forced a halt in construction of Rogun. Opponents to Rogun explained their position in the environmental impact such a project would have, destroying flood zones and the distinctive cultural heartland of Tajikistan. And indeed, the succeeded, in 1993 the project was shelved. It was revived once again in 2004 and in 2007 the Russian company, Rusal came on board as an investor. However, Uzbekistan protested. By means of pressure on the Russian company Tashkent sought to reduce the height of future hydroelectric dam from 335 meters to 300 meters. Dushanbe did not agree to these conditions and announced Rogun to be a national property, creating a group of companies to implement its construction. But investors, in stark contrast to the expectations of the Tajik leadership, did not line up. And then President Emomalii Rahmon decided to implement the project on its own. To carry this out, it was decided to allocate from the state budget 150 million dollars annually and another 186 million was still raised in the selling of shares in the future of the hydroelectric facility. These funds were insufficient to cover the costs of construction and as a result, construction was suspended. 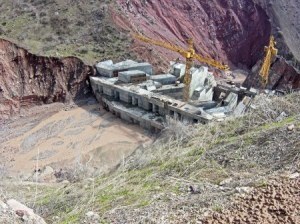 Moreover, Uzbekistan has taken an inflexible position regarding the construction of Rogun, stating that the implantation of such hydroelectric stations would lead to a catastrophe: the creation of a reservoir of that volume threatens areas downstream, transboundary water shortages and generally, construction within an active seismic zone is very risky; not only will it be a man-made disaster, but would result in armed conflicts in the region. Tashkent was able to draw the world’s attention to the problem, and Dushanbe was forced to agree to an international review. However, Tajikistan has assured its neighbors that, the construction of the project would be a benefit of the entire region and the creation of the reservoir will be guided by international standards and that they do not intend to block access to water to the neighboring countries. In Dushanbe they are convinced that the Rogan project meets all safety requirements and even an earthquake registering a 9 on the Richter scale would not damage the facility. For Tajikistan, not having sufficient reserves of oil and gas, the construction of hydroelectric stations is the only possible way to solve its energy crisis, and even replenish the state coffers by exporting Rogun electricity to third countries. In Tashkent, they believe that energy problems can be solved through the construction of small and medium sized hydroelectric facilities. Uzbekistan insisted on international review of the Rogun project, hoping to once and for all put an end to this project. And to resolve this dispute between Tashkent and Dushanbe, it took the involvement of the World Bank. The conclusions of the experts who worked on the feasibility study of Rogun were disappointing for Tashkent. “It is technically possible and economically feasible to exploit the Rogun hydroelectric facility and all the Vakhsh power generated under existing agreements and practices regarding water resources management”, summarized POYRY ENERGY LTD, the company which conducted the review. Moreover, it recommended using a height of 335 meters for the Rogun dam. The Deputy Prime Minister of Uzbekistan, Rustam Azimov, said that the review of the Rogun project was financed by the World Bank and does not comply with generally accepted international standards. He also said that Uzbekistan would never, under any circumstances, provide support for the Rogun project. In Dushanbe they are convinced that the Rogan project meets all safety requirements and even an earthquake registering a 9 on the Richter scale would not damage the facility. For Tajikistan, not having sufficient reserves of oil and gas, the construction of hydroelectric stations is the only possible way to solve its energy crisis, and even replenish the state coffers by exporting Rogun electricity to third countries. Earlier, in a conversation with the author and Member of Parliament of Tajikistan, Sukhrob Sharipov, he mentioned that Rogun would produce cheap electricity; electricity which Afghanistan, Pakistan, India and even China are prepared to purchase. “Uzbekistan is afraid of competition in the energy market. Net profit alone from the sale of electricity generated by Rogun will be 700 million dollars. Moreover, this is by today’s calculation; in the future we could be talking about billions”, said Sukhrob Sharipov, who believes the claims and concerns of Uzbekistan are contrived, unfounded and their arguments exaggerated. “Mega projects of Rogun and Kambarata must be fundamentally rejected and the decision to seek solutions to our current energy problems must come from other areas. Giant hydroelectric facilities designed in the Soviet Union and under the control of Moscow, under the establishment of the appropriate national economic complexes. They are unnecessary for the current development of the region; all plans to export beyond the borders of Tajikistan and Kyrgyzstan are myths, supported by Washington. New projects are needed, small and medium hydropower, renewable energy sources that do not cause conflict and that are without prejudice to the region in general solve problems each of each of the small republics”, said Alexander Knyazev. The fact of the matter is, over the past few months, representatives of the State Department and the Pentagon are extremely actively seeking from Tashkent an agreement on the deployment of U.S. military facilities on the territory of Uzbekistan. “As far as I know, Tashkent has up to now resisted the pressure. An anti-Uzbek decision with regards to the Rogun project will have, in this case, serious and immediate consequences on several fronts. Tajikistan is a direct military ally of Russia and any use of force by Uzbekistan against the construction of Rogun would involve the question of military assistance of the Russian Federation in Tajikistan and correspondingly, would contribute to a deterioration of Russian-Uzbek relations. As a consequence of a final refusal by Uzbekistan with regards to the American request for deployment of U.S. bases, would be the activation of terrorist groups under the control of the U.S., which would be sent through the Tajik territory to Uzbekistan, just as recent history of the region shows us and everybody is already well aware. 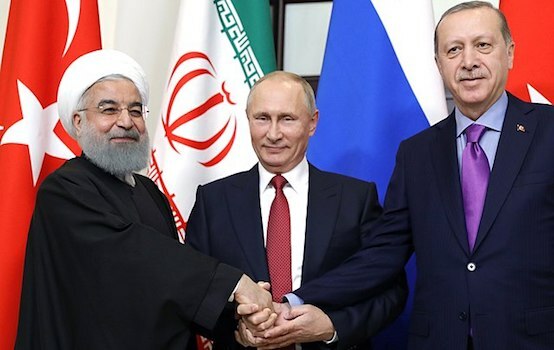 In other words, it can be perhaps another attempt to open a new front, after Ukraine and the Caucasus, a front of instability, which would draw Russia in,” says the expert. In this case, the construction of Rogun, such as it is, will not proceed; while there has been some work carried out already for a couple of years, in reality there hasn’t been any significant progress. The project currently doesn’t have an investor, nor is it likely to be one in the future. “The old idea regarding the ​​creation of an international water-energy consortium, which would include all the countries of the Aral basin and with connections to Russia, is currently unrealistic. The two projects, around which a consortium was supposed to be created a few years ago, Rogun in Tajikistan and the Kambarata in the Kyrgyz Republic are rapidly losing any relevance. And now, taking into account the anti-Russian climate from the West over the Ukrainian crisis and the sanctions imposed, Russia simply does not have the financial resources for such projects”, said Knyazev. According to him, it was clear even before the Ukrainian crisis erupted, Rogun from a Russian perspective, was rejected many years ago; and the Kambarata project was deliberately hampered by a reluctance on the part of RusHydro to invest in a non-market, unprofitable and purely political project”, said Alexander Knyazev. The evaluation by World Bank experts (a positive verdict regarding the project was developed as much as 40 years ago during the Soviet era) can be seen as the West intending to destabilize the situation in Central Asia and to encircle Russia around a conflict zone, with the ultimate goal of dragging Russian into these conflicts: Ukraine, the acute instability in Nagorno-Karabakh, and now there is an attempt to further undermine the situation in Central Asia. In the event of war between Tajikistan and Uzbekistan, Russia may have a rather difficult to make, but it is more likely to be a mediator in any resolution to the Tajik-Uzbek conflict on water and energy issues. This policy of the West has only one objective, to weaken Russia, inflicting damage on its image; damage that is unavoidable when one is confronted by countries that are, to a greater or lesser extent, allies and partners within the geopolitical space and which Russia considers its sphere of interest, and hence responsibility. Victoria Panfilova is a columnist for the Nezavisimaya Gazeta, and for the online magazine “New Eastern Outlook”.